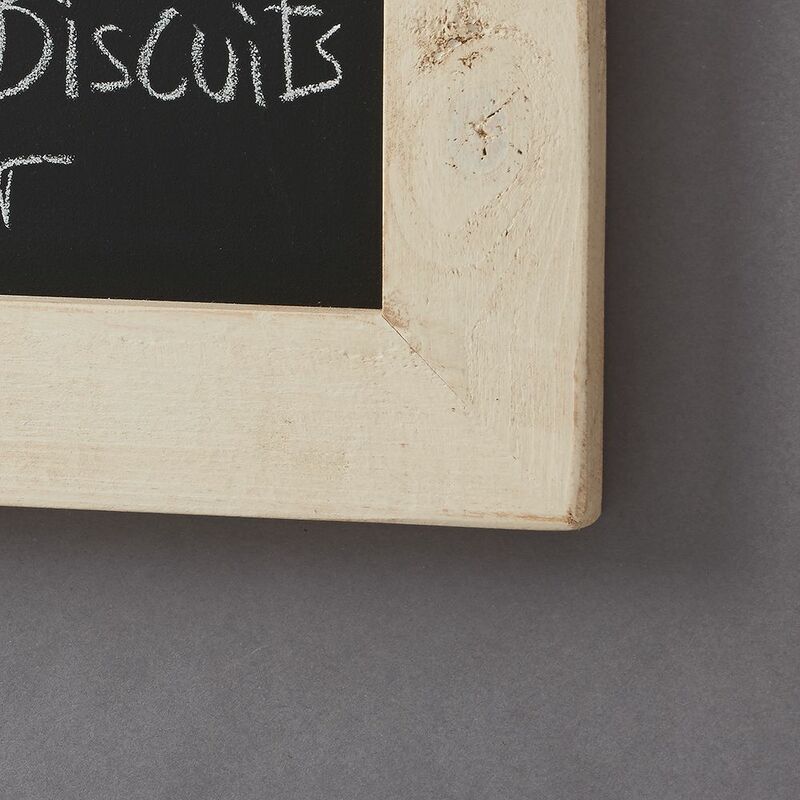 These lovely blackboards are framed by hand in beautiful 6cm wide and 2.5cm deep old wood, using traditional framing methods. 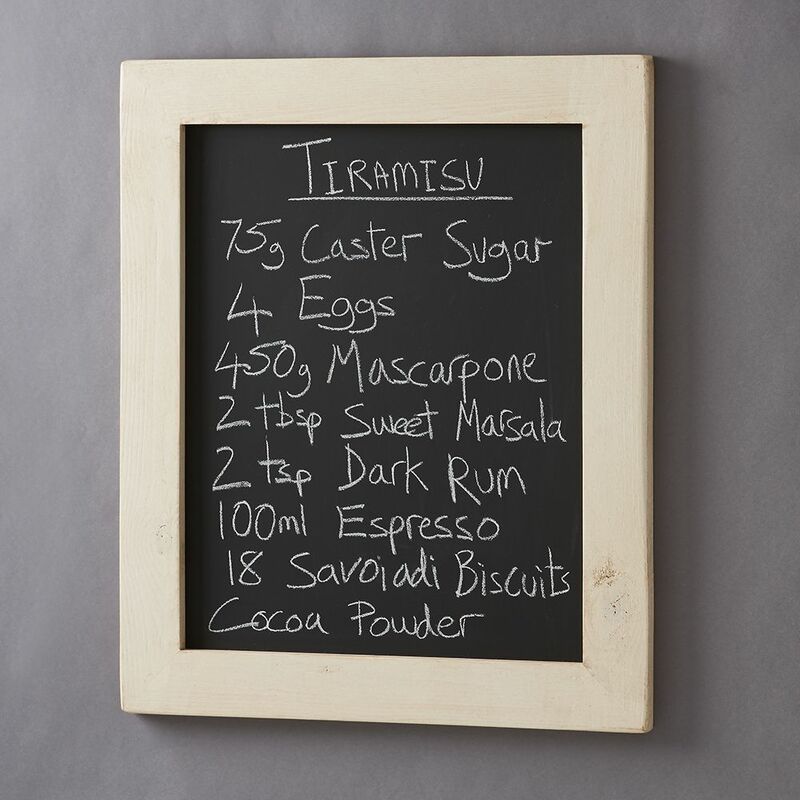 The board itself is made from galvanised steel so highly magnetic and then given 5 coats of best quality blackboard paint. Can be hung landscape or portrait (comes with fixings).